Stephanotis is a famous wedding flower. 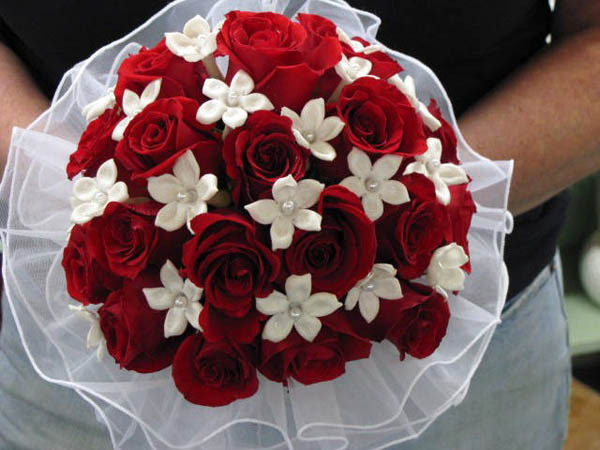 Its white color, special shape, and pleasant is widely used in wedding and corsage work. Fresh stephanotis blooms from Perla Farms are perfect for weddings and other events . Save money buying the freshest stephanotis and cut flowers direct from Perla Farms. Stephanotis, is a genus of flowering plants. The best known species is Stephanotis floribunda (Madagascar Jasmine), which is cultivated as a tropical or hothouse ornamental, and whose flowers are a popular element in wedding bouquets. The Stephanotis has grown in popularity over the past few years along with some of the other spring flowering vines. 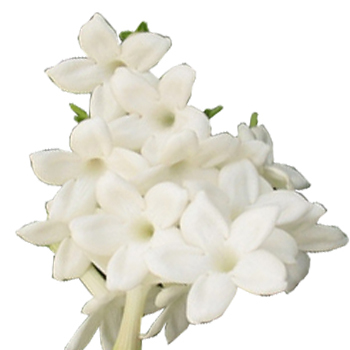 It is known by a few different names such as the “Madagascar Jasmine” and the “Bridal Veil”. 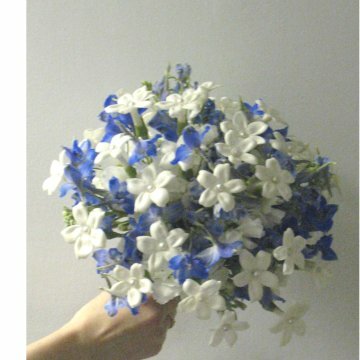 Stephanotis is a very attractive and highly sought after supplemental flower which is widely used in wedding decor. These beautiful little white blossoms are often used to adorn cakes, accent bouquets and arrangements of wedding flowers, and even incorporated by hairstylists into bridal updos!